On July 26, 2017 the Tewksbury Police Department arrested Leonard M. Boutilier Jr., 46, of 18 Mead Street, Charlestown, Ma for unarmed robbery. 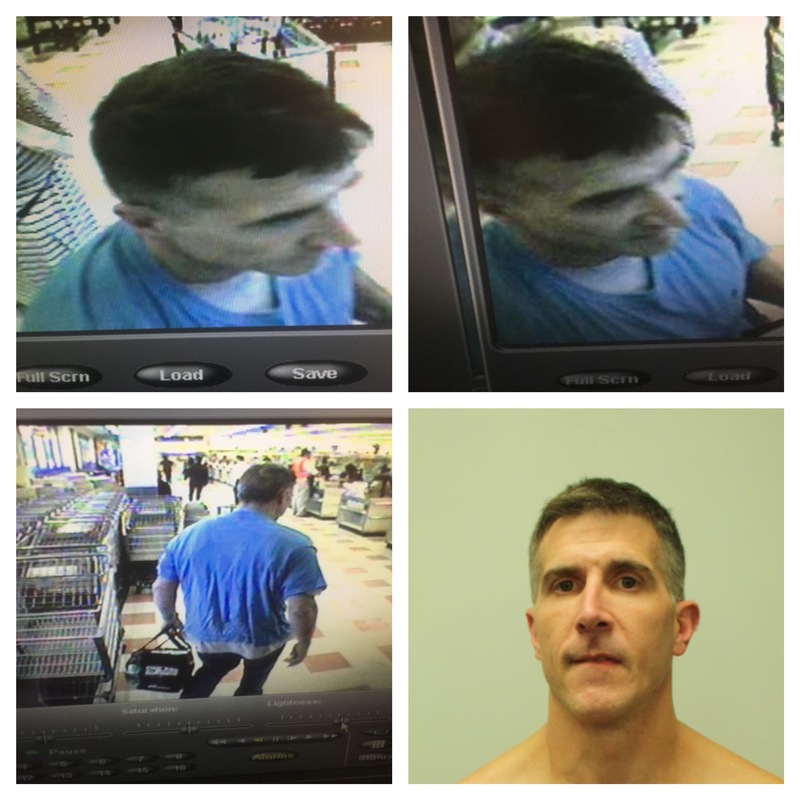 At approximately 6:45 PM, the Tewksbury Police responded to the Market Basket located at 10 Main Street for a report of a robbery. Upon arrival, Officers were met by store personnel who stated that a middle-aged white male party entered the store wearing a light blue t-shirt and displayed a note demanding cash. The clerk then emptied the contents of several cash draws and the male suspect loaded the cash into a bag he had in his possession at the time of the robbery. The suspect then fled the store on foot with an undetermined amount of cash. Responding officers set up a perimeter and began a comprehensive search of the area with the assistance of the Methuen Police K-9 Unit. Responding Detectives called for the MSP Crime Scene Unit and viewed available video footage to provide a more detailed description of the suspect to officers conducting the search. A short time later, a Tewksbury Police Officer, working with the Methuen K-9 Unit, observed a male fitting the description supplied walking northbound on Main Street by the Lowell line. Officers made contact with that male in the parking lot of Hannaford Supermarket just over the Lowell line. Information and evidence collected during the investigation led to the arrest of the male, Leonard M. Boutilier Jr, for unarmed robbery. Mr. Boutilier was held overnight at Tewksbury Police Department and arraigned in Lowell District Court on July 27, 2017. He is being held on $25,000 cash bail.